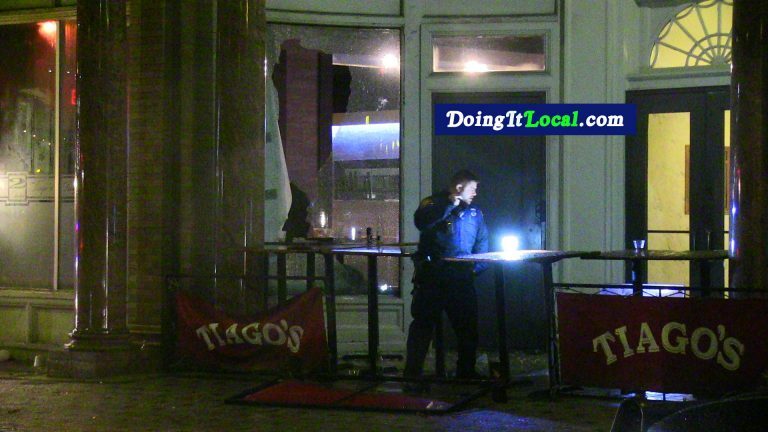 1:11am– #Bridgeport CT– According to radio reports, a customer who was asked to leave Tiago’s Bar and Grill at 211 State Street and the disgruntled customer returned and shot at the establishment. 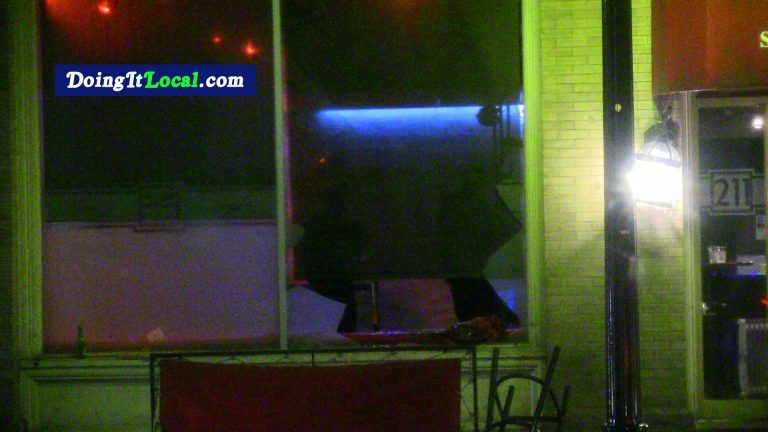 Two of the front windows were shot out. There were no reports of anyone being hit and police did check with the area hospitals. 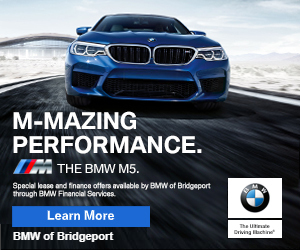 A person was shot on July 1, 2018, from shots fired across the street from Mclevy Green. The windows were shot out again on October 31, 2013.